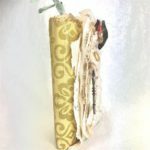 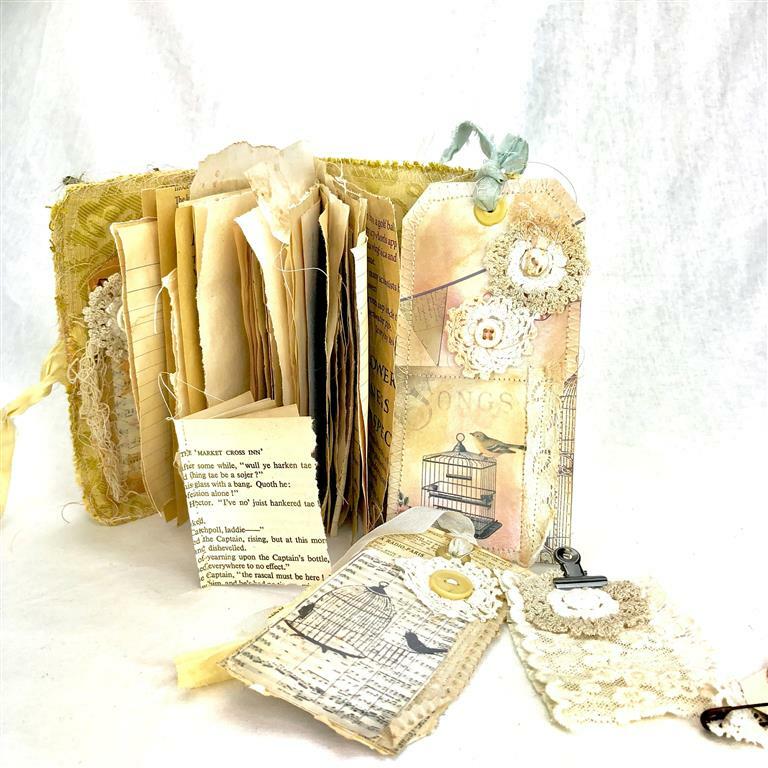 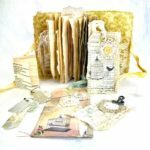 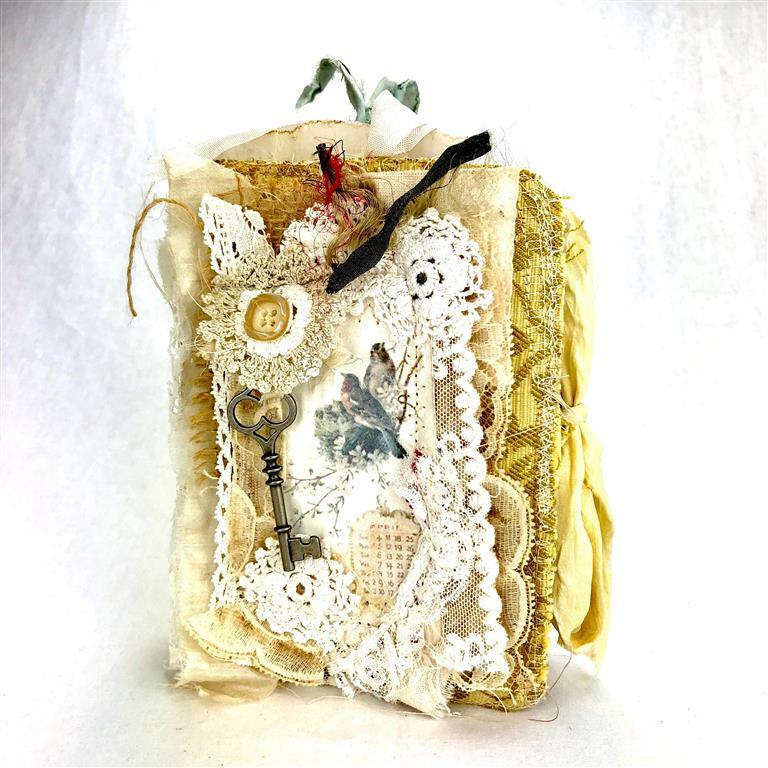 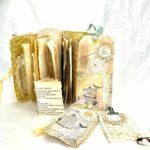 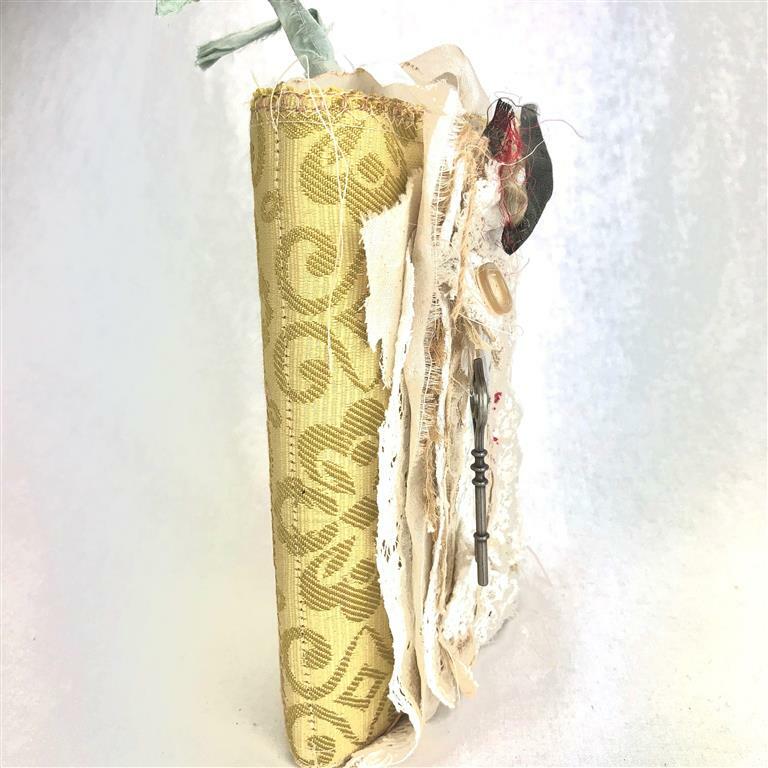 Birdies and Lace Junk Journal is packed with loads of journaling space. 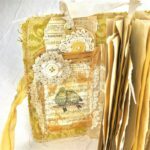 All the paper is tea and coffee dyed. 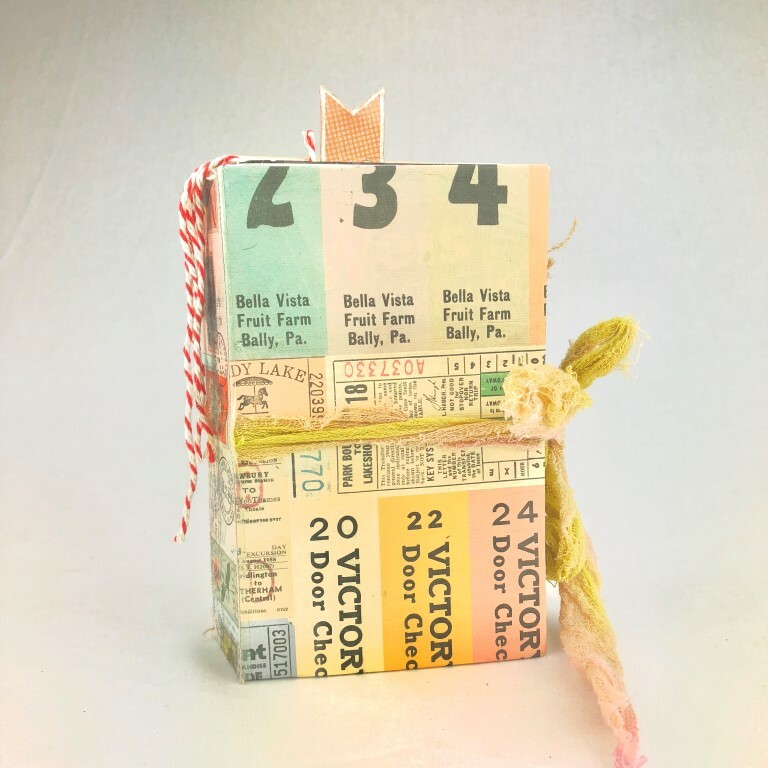 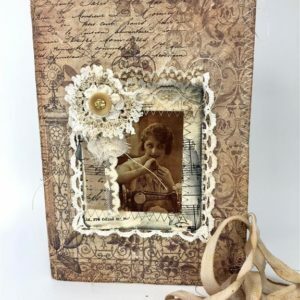 The paper is recycled and is all different sizes and textures giving it a great vintage handmade feel. 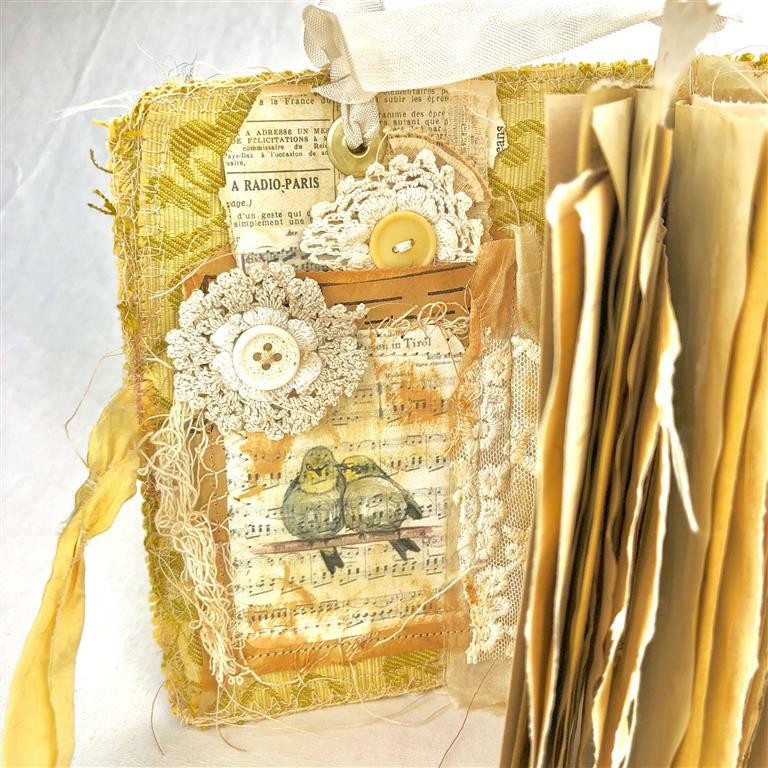 The Birdies and Lace Junk Journal cover is made out of gold coloured upholstery material with embossing. 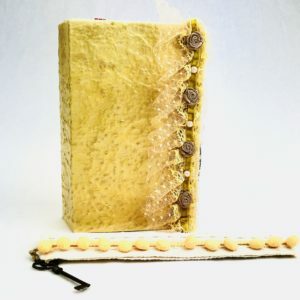 There is a thick card in between the two layers of material making the Junk Journal cover a lot more sturdy, but still giving the journal a beautiful soft feel. 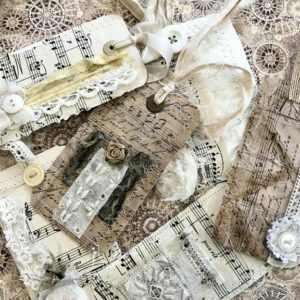 The gorgeous bird image is surrounded by beautiful layers of antique lace, silk ribbon, doilies, buttons and a gorgeous metal key. 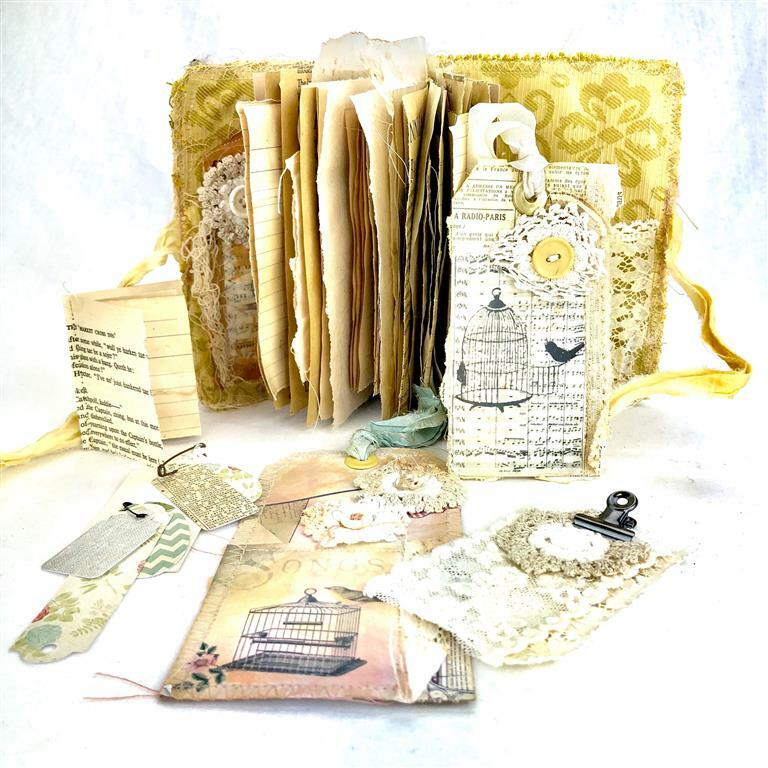 There are also pockets and an extra little note book tucked away, as well as extra pretty vintage style tags. 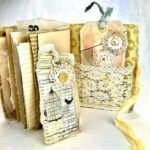 Birdies and Lace Junk Journal is a beautiful vintage style journal made with loads of love and is sure to delight anyone who owns it.